Retired US Navy Commander William Alden Lee (called “Bill” by many) of Heritage Towers, Wesley Enhanced Living, Doylestown formerly of Harrisburg, PA and Frederick, MD, passed away on Thursday, March 28, 2019 at the age of 85. Born in New York City, Commander Lee was the son of the late Veatrice (Wilson) and Herbert Martin Lee, Sr. of Baldwin, Long Island, NY. Commander Lee was a reserve intelligence officer in the United States Navy for 22 years, during which he received a number of citations including the Joint Service Commendation Medal. He retired as a full commander in 1988. Previously, he served as a member of the US Army’s occupation forces in Frankfurt/Main, [then-West] Germany. A gifted musician, Commander Lee attended the Juilliard School of Music (Preparatory Division) while in high school, and receiving in 1954 a bachelor’s degree from Eastman School of Music of the University of Rochester, NY. After graduating from college he played in several US Army bands, and later sang in the Baltimore Choral Arts Society and the professional choirs of a number of Episcopal churches in Baltimore, MD and Washington, DC. In 1969 Commander Lee received the degree Master of Business Administration from Northwestern University (Evanston IL). Although handicapped from the age of 40 by the hereditary neurological disease Cerebellar Ataxia, type 6 — which also affected several other members of his family — Commander Lee was active in numerous civic and professional organizations, and was for many years a principal with P & L Associates, the tax and financial services firm he established in 1982 in Frederick, MD. Commander Lee was associated with several other financial services companies, served on several corporate boards of directors and was a member of the adjunct faculty of Frederick (Maryland) Community College. He was also a co-founder of the Lake Forest (Illinois) Montessori School, volunteer with Hospice of Frederick County, Maryland, a participant – accompanied by his adopted greyhound, Cleo — in that organization’s Hos-Pets program, a member of the Frederick County Commission on Disabilities, and a member of the Sons of the American Revolution. A long-time member of the Baha’i Faith, he also served on the Local Spiritual Assembly of the Baha’is of Frederick, MD. Commander Lee was a life member of several organizations including the Association of the US Navy and the National Ataxia Foundation (NAF). 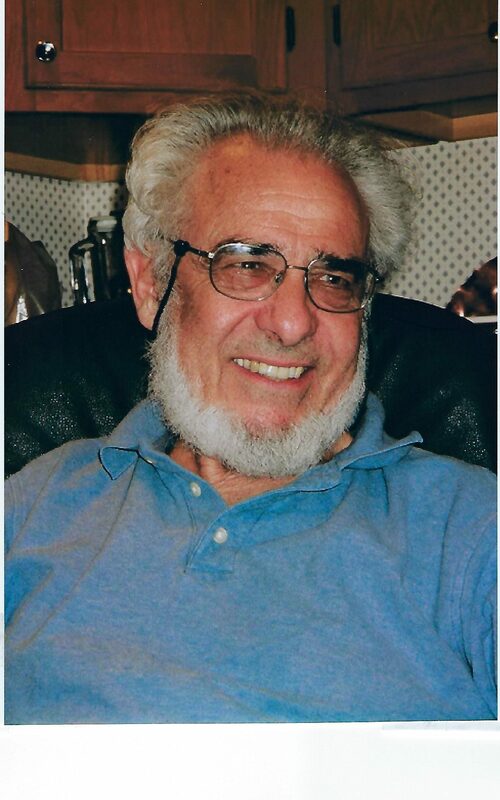 After retirement, he edited a large number of mystery novels and short stories written by his good friend and well-known author Theodore Jerome Cohen of Langhorne PA, and since moving to WEL-Doylestown had served on both the Residents’ Association Council and several of its committees. Commander Lee is survived by his daughter, Claudia Suzanne Malone, her husband, Daniel, and their daughters Connie and Judy, of Sellersville PA and by his daughter-in-law, Sandra, and her twin sons Alden and Alexander, of Yardley PA. He was predeceased by his third wife, Joan, whom he married in 2005, his college sweetheart in the early 1950’s at the Eastman School of Music; by his son, David Alden Lee; by his older brother and sister, Herbert Martin Lee, Jr, and Carol Margaret Lee Haley, respectively. He is remembered by numerous nieces, nephews, cousins, and close friends. A memorial Baha’i service will be held at 10 a.m., Saturday, May 11, 2019 in the Acorn Room of Wesley Enhance Living, 200 Veterans Lane, Doylestown, where the family will receive guests from 9 a.m., until the time of the service. In lieu of flowers, memorial contributions in Commander Lee’s name may be made to: National Ataxia Foundation, 600 Highway 169 South, Suite 1725, Minneapolis, MIN 55426.